Last time, we selected the best Replay of the Week for you. 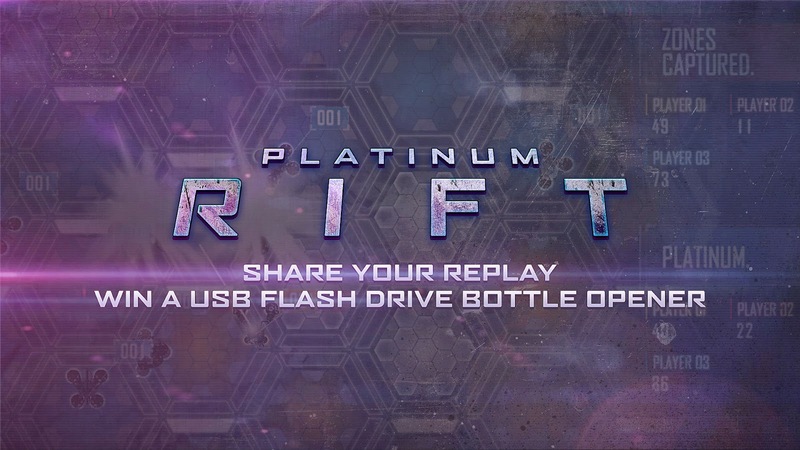 But for the Platinum Rift second week's report, we would like you to send us YOUR best Replay. The one that made you laugh, the one where you ended up snatching victory, the one you're the most proud of, the one that made you feel terrible... Impress us! We'll have a vote and the good news is that we'll be giving out 10 CodinGame USB Drives / Bottle openers to those who sent our 10 favorite Replays, and the best one will be awarded with a t-shirt, and be published in the report. Please share your replay before Friday, November 21 by posting a comment on this blog post, on Facebook or by sending a Tweet with #PlatinumRiftReplay. Good luck! I lost this one, but it was worth it. Keep your eye on Northern Africa. Fighting on a equal footing... Until the situation reverses... Bad luck ? ;) Thanks for sharing vScourge!